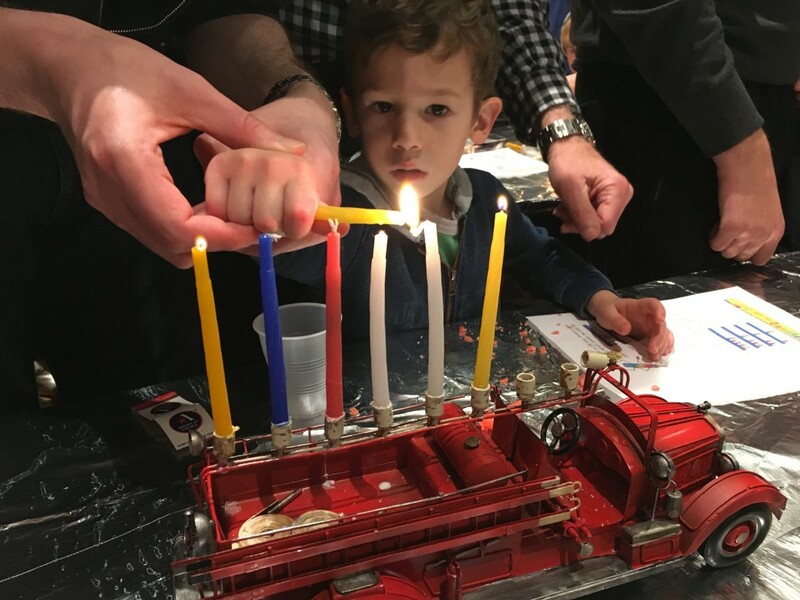 As VP of Membership, I’ve recently reached out to the pre-school to see how the synagogue community can work more closely with the pre-school community, with one possible outcome being that more pre-school families become members. 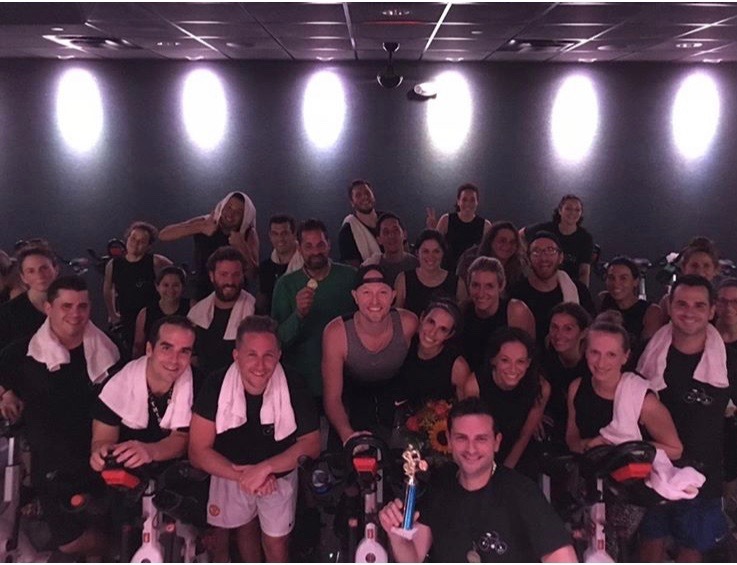 The Shomrei Preschool PTO (Parent/Teacher Organization) ran a fundraiser at Cyclebar as part of a series of upcoming events in support of the new playground. Cyclebar, a cycling studio in Montclair, let us fill a private class with our fundraising parents, alumni and staff. We also sold 60 custom t-shirts prior to the ride that raised additional funds. 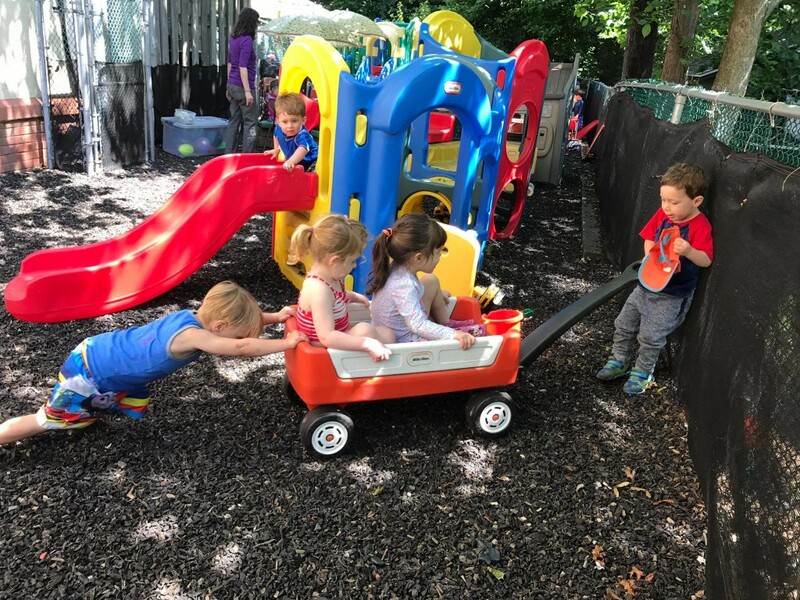 As you may have heard, Shomrei Preschool is in need of a new playground! We’re hoping through a few fundraising efforts this year, we can work together to raise money to break ground as soon as possible. President Fern Heinig visiting preschoolers at their temporary “digs”. 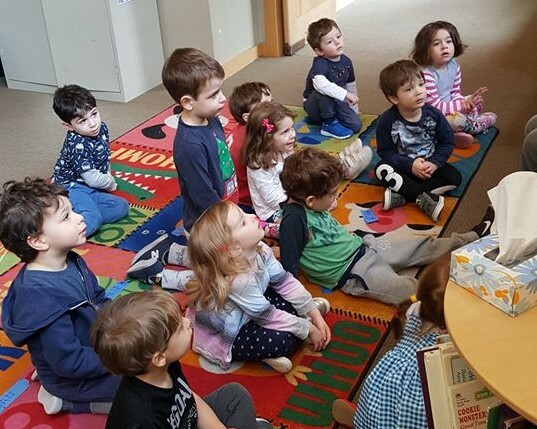 Due to emergency reconstruction at Shomrei as a result of a recent burst pipe (and flood), Shomrei preschool has relocated temporarily to Temple Sholom in Cedar Grove. From reports by Fern and the Rabbi who visited today, the kids are having as much fun as ever! A Beautiful Shomrei Chanukah Celebration! I look forward to our Shomrei Chanukah Celebration every year. While it is easy to love the beautiful music of the Simcha Band (Thank you Merrill Silver and Mark Weinstein! ), the delicious food (lovingly prepared by master chefs John Lasiter, Leon Berman, Fern Heinig, Charlie Breslin, Adam Dembrow, Aaron Task, Kate Breslin, Alan Breslin, and Yechiel Felder), and the fun crafts (have you ever tried an edible dreidel? ), my favorite moment each year occurs in the sanctuary. 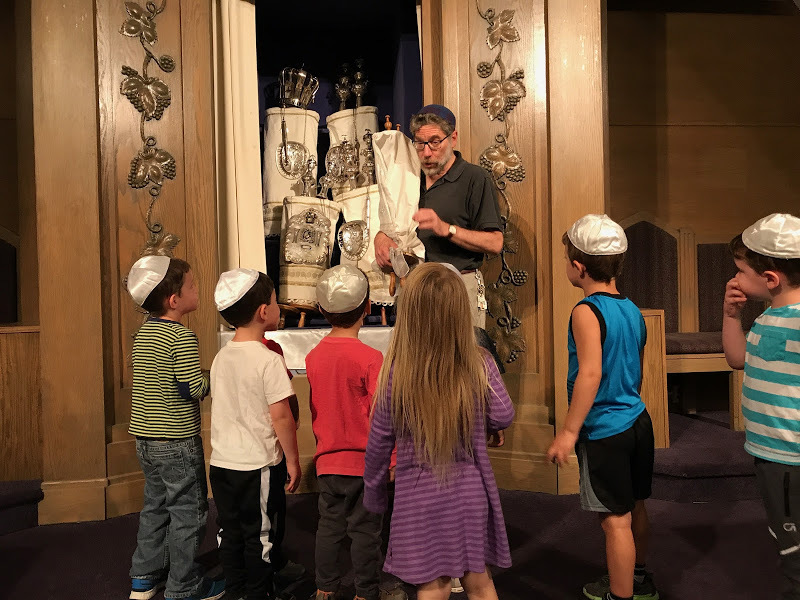 The Pre-K enjoyed a very special trip with a Rabbi Greenstein to the sanctuary last week, where we learned about the Torah in an up close fashion! 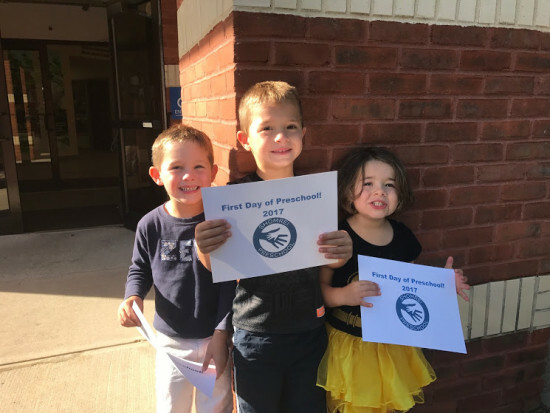 Preschool Off to a Great Start! The Preschool started the new school year with a bang! With the High Holidays so close to the start of the school year, there was much material to incorporate right away. 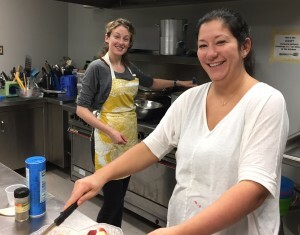 When Bridget Placek, a Shomrei Preschool mom, sent out an email asking for volunteers for a Shomrei Preschool family sponsored MESH dinner – I immediately replied – yes, I will. Paying it forward was one of my new year’s resolutions this year. 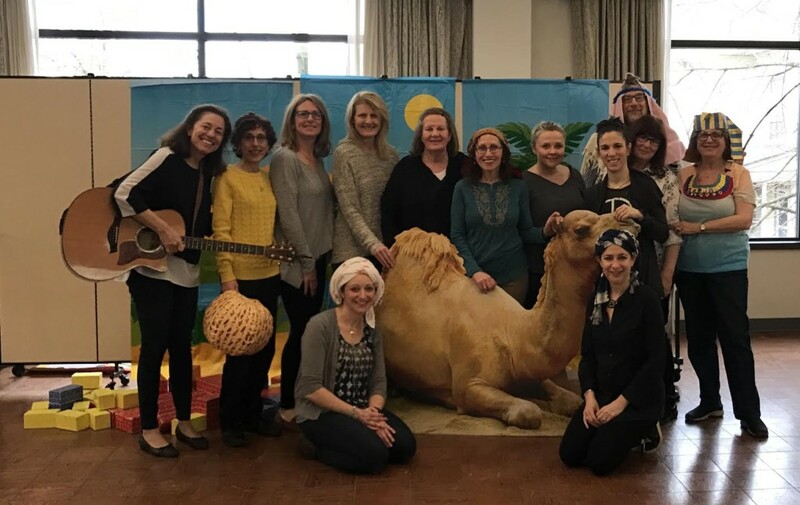 On Wed, April 5th, the Preschool teachers, Rabbi Greenstein, and I brought the Passover story to life, in front of a room full of preschoolers and their families. Our stage even included a giant camel, palm trees, and plenty of bricks for pyramids.